← Have a blessed Good Friday. 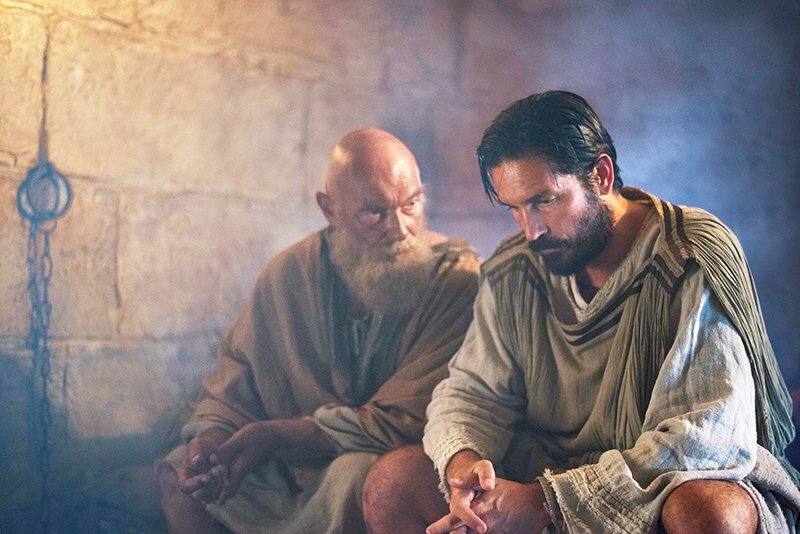 In the film, Luke (Caviezel) meets with Paul (James Faulkner) in prison to record his dramatic conversion and other reflections into what would become the Book of Acts. Meantime, the early church struggles against persecution by the Roman government — and how to respond to it. “Christ called us to care for the world, not rule it,” one character protests when others discuss breaking into the prison to free Paul and overthrow the government. “At this moment in our culture and in our world I think we really are starting to doubt this idea of grace and mercy and forgiveness and love, and Paul’s story is such a strong example of just the enormity of God’s grace and love, and I think it’s something that’s so needed right now,” writer-director Andrew Hyatt said.